Every one of our 400 pupils, 60 staff, 600 parents and 15 Governors is a unique individual. We respect and celebrate our great diversity and aim to raise aspirations and achievement for all. Our Inclusion Leader, Helen McDonald and Inclusion Support Worker, Kerry Haithwaite, are available to work with children and parents whose families may need some additional support due to circumstances in their lives. They are based in the main reception area of school near the main office. 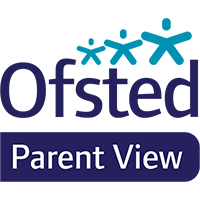 We have a number of children who may have additional learning needs and have a wealth of experience of early identification, intervention and support. Our SEND report explains how we support all our pupils throughout their time at Clifton Green. It aims to provide you with answers to frequently asked questions about our provision for our pupils, especially those who may have Special Educational Needs or a disability. Our Accessibility Plan shows how we are working on making learning at Clifton Green as accessible as possible for all pupils. If you require any further information, please come and talk to Miss McDonald. We also have a wide range of families from overseas hailing from 20 countries and speaking 25 languages. All families who arrive in the city and at the school are supported through this transition and we have a dedicated member of staff to support the early stages of learning English.